For some people, the thought of planning their funerals ahead of time gives them a sense of comfort knowing that their loved ones will not have the burden of making the plans. 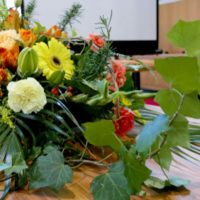 In addition, some people like the fact that they get to personally make the plans for their funerals, choosing everything from the flowers to the casket and the burial plot. In order to further reduce stress for loved ones, a person may also decide to pre-pay for all these funeral expenses. However, this could be a mistake. Some pre-paid funeral plans are offered in a manner similar to an insurance policy, and the funeral home is named as the beneficiary. With other plans, the money a person pays to the funeral home is placed in a trust until it is needed later on, at which point it is released directly to the funeral home. Some plans come with a guaranteed price that the cost will remain the same no matter what changes occurs within the funeral home, while the ones that do not offer such guarantees can end up costing more after the person’s death. There have been instances where the family members of a person with a pre-paid funeral plan are presented with a bill for funeral expenses because, for example, a casket selected by the deceased decades before his death had to be specially ordered because it was no longer in stock. The family members could end up with thousands of dollars in extra expenses, even when the deceased thought he was simplifying things for them. Under Florida law, a person can prepay for funeral expenses through what are referred to as pre-need funeral contracts. When a person enters into one of these plans, he should ensure that it is from a licensed business. Florida law requires that a business offering a pre-need contract for funeral services inform the customer how the funds paid will be secured. Plans can be secured by a trust account, a letter of credit, or an individual insurance policy. A person who purchases a pre-need contract can get his money back if he cancels the contract within thirty days. Cancellation after thirty days could mean only getting a portion of the money back. In addition, following a cancellation, the funeral home or business offering the pre-need contract does not have to give the cancelling person any interest that was earned on the money while the business had it in its accounts. If you want to ensure that your funeral expenses will be taken care of without burdening your heirs, you can speak to an experienced attorney about other options, such as placing the money in a trust controlled by you, or in a payable upon death bank account. To learn more about how you can plan to cover the cost of your funeral expenses without purchasing a prepaid plan, and to ensure that your overall estate plan will take care of your beneficiaries upon your death, contact our experienced estate planning attorneys at the Millhorn Elder Law Planning Group located in The Villages, Florida.